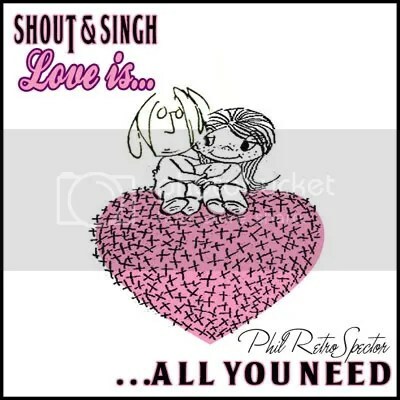 SHOUT & SINGH LOVE IS… ALL YOU NEED! Featuring the Maharishi Mahesh Yogi waxing lyrical, Jim Sturgess & Tears for Fears on Vocals & Traveller from Talvin Singh, Everybody Shout & Singh, Love is …all you need! Instant club chill out zone super hit. Beautifully twisted, finely polished, achingly spiritual realisation of one underground pioneers world view in a three minute sonic salad – Hold The Dressing! Nay! Hold The Presses! – To love is to evol-ve – This Mashup Guru will be walking upright in a record store near you!